Of course, it’s a candid shot. 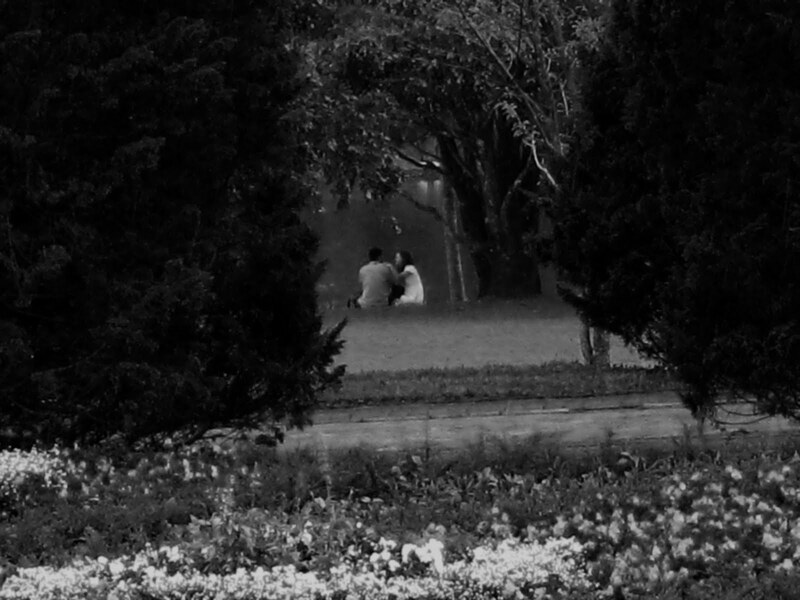 The couple is sitting near the swan lake area in Nusantara Flower Park. At that time, we were sitting at the bench. 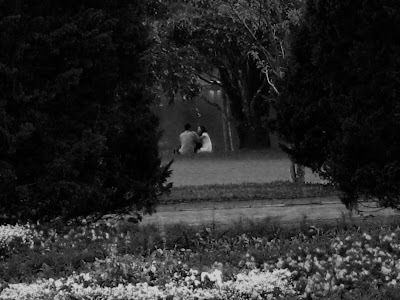 This couple attracted my attention to capture it. Sorry for not sharing a clear photo here, I use my pocket camera. A lovely photo. It couldn't have looked nicer if you'd posed it! Fine candid shot. How romantic, a lovely capture. a sweet photo Lina...so intimate. I think you captured the moment perfectly with your little camera. The lighting is lovely. Glad you were there to capture that romantic moment for all of us to enjoy.